If you enjoyed The Trollwood Players performance of Odds and Ends last year, then you will love this year’s fresh take on a non-musical production! Trollwood Players is a non-musical, summer theater opportunity for students. Each summer the Trollwood Players performs a collection of ten minute plays to give each student in the program the opportunity to perform a large part in a short piece. The goal of the Trollwood Players is to meet new people, learn some acting skills, and to have fun. Timepieces is a collection of ten minute plays written and directed by Kevin Kennedy. Each piece is a complete play within itself. Ten minute plays usually deal with a single issue and the plot is simple. Because of the shortened time, sets are minimal and the piece is focused on the characters. The goal of a ten minute play is to get the audience to think about a single issue or dilemma in a tightly focused format. Kevin Kennedy has written over 40 ten minute plays. Orientation: Attendance is REQUIRED. June 5, 10:30am-12:00pm at Trollwood. Meet at Marcil Commons at 10:30am. Rehearsal: First day of rehearsal is July 15 at Fargo South High School. Rehearsals will meet 9:00am – 1:00pm, Monday – Thursday at Fargo South High School. Cast and Tech opportunities are available. Open enrollment program filled on a first come, first served basis. Auditions for cast will be held the first day to assign roles. Register: Click here to view and download the 2019 Registration Form. 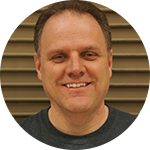 Kevin has taught drama at Fargo South High School for the past six years. In addition to directing a musical, play, and a one-act play, he coaches for the school improv troupe, Donkey Hotey’s. Between shows, classes, and improv, students have the opportunity to perform over 30 times a year. This will be Kevin’s 6th year teaching improv at Trollwood. Kevin will be writing and directing The Trollwood Players show, Timepieces, at Fargo South in July and August.